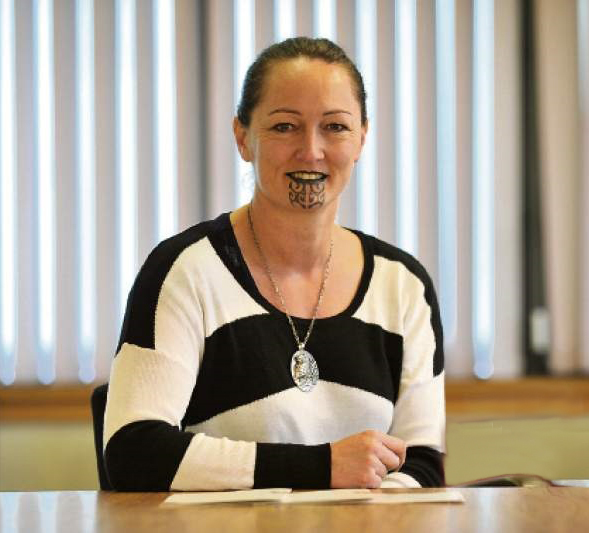 Dr Diana Kopua (nee Rangihuna) spent her formative years under the umbrella of Ngāti Toa in Takupuwahia and Titahi Bay. An avid softball player and singer, composer and musician, she raised four children, studied nursing and worked in Māori mental health as a community psychiatric nurse in Porirua. Then one day she decided that in order to effect real and meaningful change within the mental health system, she needed a tohu that would ensure a voice for the whānau would be heard. So she decided to enrol into medical school at the age of 31. Fast forward to 2017, Diana Kopua is a consultant psychiatrist and Head of Department at Hauora Tairāwhiti. A competent psychiatrist with a moko kauae, fluent in te reo Māori, who can sit and play the guitar and tell really good stories. She has an ability to get to the whatumanawa (the deep seated causes) of presenting issues with whānau with straight talking and a much deeper spiritual pathway through her recounting of indigenous stories. Mahi a atua came about because of her intuitive knowing around identity and wanting to provide therapeutic input that was meaningful and relevant to the whānau she works with. Those that know Diana, know that she wears her Ngāti Poroutanga proudly and she is forthright and passionate in all that she does. Her expertise is in her understanding of how institutional racism and oppression can impact whānau oranga. She is not scared of conflict for she sees this as the way to grow and come to greater understandings. She can embody the different atua that she loves to wānanga about. Currently she, alongside her husband Mark Kopua and a rōpū of Mataaora are undertaking a Māui tiki-tiki a Taranga type of feat where the seemingly impossible is being made possible. Together they are reconceptualising the delivery of mental health services in Tairāwhiti through the development and nurturing of mahi a atua within the community. Kei au te rangatiratanga: Determine your own destiny. Watch this space. It is ground breaking.